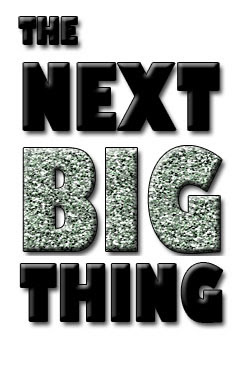 Help us come up with the next BIG thing! We want to hear from you! What ribbon do you want that you just CAN NOT find? Your ideas and demands is what drives us to find new and exciting designs that are available no where else. Submit your ideas via a reply on this blog post or through our facebook page to win! We got a bag full of goodies that include one of a kind productions and sneak peaks of our next big release of new prints for the winner. All you have to do to win speak your mind! Copy written image suggestions will not be counted. We can not produce an image that we do not lawfully own the artwork for. One winner will be selected Monday March 21, 2011 and announced right here on the AAR blog. Ok, Wendy! You know I am a sucker for your contest!! I have several ideas! I NEED (yes need!) multi colored stars like a combo of lime green, hot pink, sapphire, orange or yellow, purple...something bright and fun! Then...lightening bolt ribbon would be awesome!!! Checkered flags!!! I am in a big racing town...from cars to bikes to motorcycles, so checkered flags would be awesome to cover all of them!! A "Rock Star" ribbon! Something fun and funky with the words "Rock Star" and guitars and stars! I know this may sound crazy to some, but an oil derrick! I live in the heart of oil field country! My daughters school mascot is "drillers". It would be great to stop having to print the ribbon myself! A Dr. Suesse inspired ribbon would be amazing!!!! A ribbon with bows on it!!! It could even say "I <3 bows"! A music inspired ribbon...music notes on a cord chart with some fun colors! And finally...one very close to my heart would be a cystic fibrosis awareness ribbon...with red roses and the purple ribbon! There are over 30,000 people with cystic fibrosis in the USA allow, not including the numbers worldwide! I convinced another company to make the purple ribbons, but something with the roses would be amazing!!!! Ok, have I offered up enough ideas. Lol. I've got more if you want them!! Wendy...we should just sit down and brain storm! Last time you asked us this, I suggested tattoo ribbon and you made it happen and it's my #1 seller!! Go Wendy Go!!! I would like to see some cute rainbow ribbon! Fun Eiffel tower ribbon, herringbone with black/white, purple/blk, daffodils or tulips would be fun and springy! I too would love to see some Dr. Seuss inspired ribbon! I absolutely want to see some cute owl ribbon! I love love love owl!!! I am a frog nut! But all the frogs on ribbon I find look like it's made for a boy. What I would love is a print of "lady" frogs. Frogs wearing a pink bow around the neck, a tiara (not a crown, if you know what I mean) , a dainty tiara, or flower headband! Then a swirl in between each frog. The frog doesn't necessarily have to be green, right? We could have pink frog, Fuschia frog, or even purple frog with pink bows! I would love to see ribbon with gerber daisies and also loved the idea above about Dr. Suess theme ribbon. You can't find that anywhere!! Monkey ribbon for girls and boys would also be great!! Thanks Wendy for all you do!! I have a few ideas. What about Sesame Street themed, you do a character per 7/8 ribbon or mix on 1.5 them together, 3/8 you could put the street sign on white background. Oz themed, same as above but 3/8 would be a couple options... brick road, sparkly ruby slippers, flying monkeys. I also like the idea of sparkly spurs and belt buckles; we are in true cowboy area (our school mascot is the Puncher/Cowgirls) and this would be great. What about a garden theme with gnomes, flowers, patches of grass and some cute simple bugs like caterpillars? I could think up some more but I like all these enough to share. Checkered flags absolutely! I've also had requests for cutesy animals - teddy bears, kitties, puppies, ponies, etc. And 3/8 blingy ribbon for teens. Stick people or childlike drawings of happy faces kinda like a take on big sis, lil sis, happy family, etc, but in pictures and fun colors. Now in the other direction...more fun rocker chick stuff, orange and hot pink flames (maybe glittery) gothic crosses or a graphic print similar to gothic ironwork. I am not sure if the contest if over yet but I still had an idea that I just wanted to share. I would love to see a scribble ribbon and it would be ribbon with what ever saying u would want on it, maybe u could have a comment box in the check out and what ever u wrote there could be printed on the ribbon, it could be your child's name, or any saying u like. I would like to see Lemonade Stand Ribbon. Maybe like a glass of lemonade and then a little stand with a price tag on it. Also, sand castle ribbon. Sand bucket and a castle with some shovels in bright colors. I would love to see a assorted flower ribbon where the flowers are either outlined in metallic or are metallic. I agree with the monkey ribbon. I am a monkey freak and I would put all four of my girls and myself in monkey ribbon bows! Plus it would look good in my collection of monkeys!